’Compact’ is the key word when describing the Ibis Styles at Leeds City Centre Arena. Unlike their Manchester hotel my wife and I stay at a couple of days earlier, our room feels more cramped in places. If Frodo Baggins’ route had taken him through Leeds on the way to Mount Doom, he would have been glad of the small, spotless bathroom. The toilet roll-holder for example is so close to the loo, for no apparent reason, I wonder what the designers were thinking. The plastic kettle and lack of iron also feels like an oversight. Obviously, they’re not deal breakers. I’ve stayed in hotels a lot more expensive that don’t bother with kettles. Thankfully, the shower is a dream to operate and one of the simplest I’ve seen. A simple on-off button and easy hot and cold setting means any bleary eyed bathers won’t be given a rude awakening. 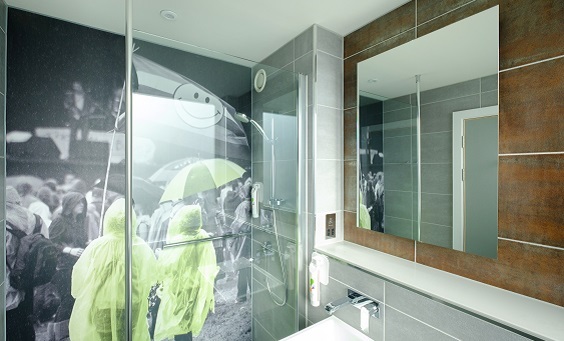 Although having a shower with a life-sized cricketer mural is more creepy than calming. Leeds may be synonymous with the game, but it leaves me colder than Christmas. I suppose a life-sized Keith Lemon design could have been the alternative, so thank heavens for small mercies. After a bit of fiddling with the confusing thermostat, I raise the temperature and things become more homely for our one-night stay. The decor is darker than Manchester’s Ibis Styles, robbing the viewer of that sense of space and airiness. It also lacks the vibrancy of its Mancunian cousin. While that weather-themed splash of colour centres more on sunshine than rain, this is several shades of grey, with attractive wood panels here and there. Colourful curtains and good lighting also helps cheer the place up. Naturally, the hotel is designed for short stays; for nipping in and out in-between events, or prepping for that early business meeting, but some simple touches could have improved things immensely. Though the bed is comfortable enough to ensure I get a good night’s sleep, the pillows leave my head either too high or low. My partner Rachel had the same issue in Manchester, so it’s not just a Leeds-based problem. It’s handy having a couple of plug sockets and a USB port next to the bed as our lives seem to revolve around charging phones and iPads, and ideal for when the small TV has trouble picking up more than the basic channels without the picture fracturing into something like an abstract video art installation. For a budget hotel it’s got some great touches. 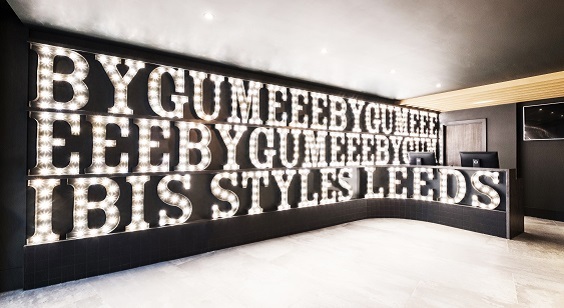 Check-in is simple, and the attractive lobby, with its illuminated “Eebygum” signage is a definite selling point. There’s enough basics to tide us over, and the adjoining Marco Pierre White restaurant serves great food and cocktails at a price which won’t break the bank. Continental breakfast in the same venue ticks all the boxes. Cereals, juices, pastries, ham, cheeses and spreads ensure we get a good start to the day before heading off. The assorted coffees and teas are a bonus. The location is also perfect. A short walk to the First Direct Arena means it’s ideal for those mega gigs, or a night on the town. There’s a Wetherspoons just around the corner along with the Merrion Centre for a cheap bite, pint or spot of shopping. I’m thrilled it’s not far from our favourite Thai restaurant either, and we also enjoy a long overdue inaugural trip to the local museum.After getting our parking ticket validated at checkout, we pay just £8 for 24 hours, which is impressive and rather convenient. 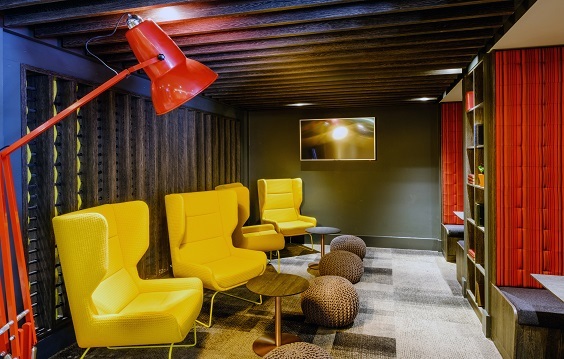 The Ibis Styles, Leeds didn’t blow me away on check-in, but despite its quirks I’m sorry to leave after our short stay. With a brighter colour scheme, bigger loo and iron, a good hotel could be even better.